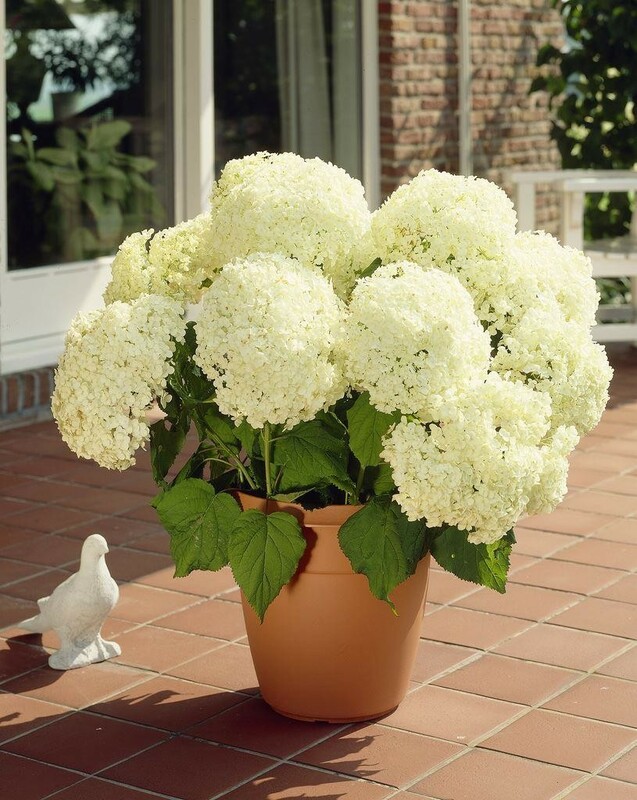 Hydrangea arborescens Annabelle is a stunning, large flowered white hydrangea, often producing football sized flower heads over 10'' in diameter. 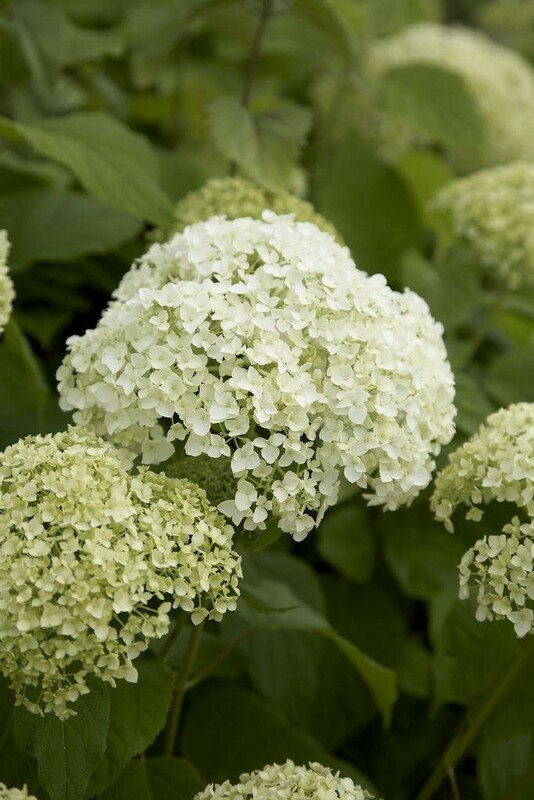 The enormous, densely packed heads of creamy-white flowers appear from July to September above pointed, dark green leaves. Unlike the better known blue and pink hydrangeas, Annabelle blooms reliably every year even after severe pruning or intensely cold winters. 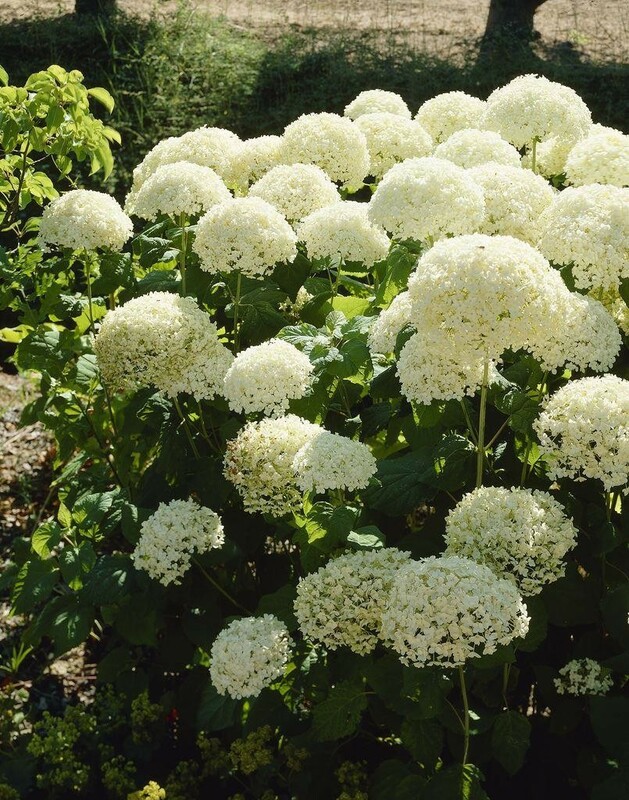 The huge, white ''drumstick'' blooms will appear in profusion without fail. Some people plant 'Annabelle' as a hedge since it can be cut back severely in the winter for a tidy effect. 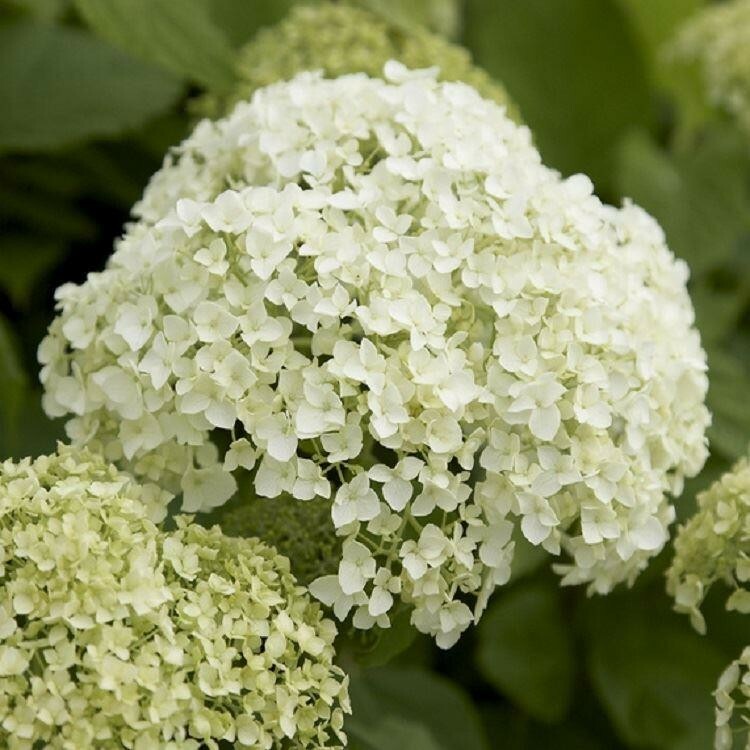 Deciduous and with an upright growth habit, hydrangea Annabelle makes a gorgeous feature for a partly shady border with moist, well-drained soil. It will also be happy in a roomy patio planter, provided it is kept well fed and watered in the growing season. The large flower heads can also be cut for use in a vase, and are particularly suitable for dried flower arrangements too. Pack of THREE plants, each Supplied in approx 2 litre containers.